REDUCED FROM $11,995!, FUEL EFFICIENT 36 MPG Hwy/41 MPG City! CARFAX 1-Owner, ONLY 55,648 Miles! Hybrid trim. IIHS Top Safety Pick, Multi-CD Changer, Onboard Communications System, Dual Zone A/C, iPod/MP3 Input, Aluminum Wheels, Hybrid, Satellite Radio, KBB.com explains "A solid performer.". 5 Star Driver Side Crash Rating. AND MORE! Edmunds.com's review says "It is defined by its handsome styling, sporty handling character and spacious cabin.". Car and Driver Editors Choice. 5 Star Driver Side Crash Rating. 4 Star Passenger Side Crash Rating. Hybrid, Satellite Radio, iPod/MP3 Input, Multi-CD Changer, Onboard Communications System, Aluminum Wheels, Dual Zone A/C MP3 Player, Remote Trunk Release, Keyless Entry, Child Safety Locks, Steering Wheel Controls. Pricing analysis performed on 9/13/2018. Fuel economy calculations based on original manufacturer data for trim engine configuration. Please confirm the accuracy of the included equipment by calling us prior to purchase. Hello, I would like more information about the 2010 Ford Fusion, stock# P16527. Hello, I would like to see more pictures of the 2010 Ford Fusion, stock# P16527. 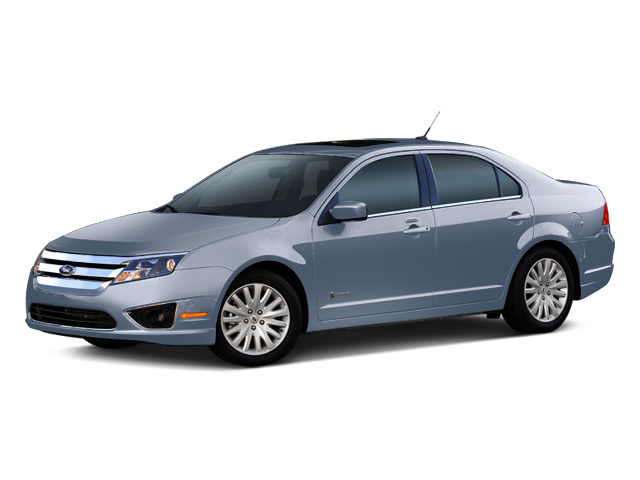 Ready to drive this 2010 Ford Fusion? Let us know below when you are coming in, and we'll get it ready for you.